After a violent storm or freak accident that damages your roof, you may be feeling overwhelmed. This feeling may cause you to want to put off the repairs, either because you think they will be too expensive, or you simply don’t have the time to put into finding a reputable roofing company. Well, the good news is that you have stumbled upon one of the best roofing companies in the area. Our thirty years of experience along with our multitude of industry awards should give you confidence that we are the right company to repair your roof. Knowing all that, we highly advise that you don’t wait another minute before calling us. A damaged roof will only get worse over time, and ignoring it can lead to the need for even more costly repairs. Luckily, we make the roof repair process simple and stress-free for our customers. First, one of our roofing experts will visit your home, inspect the damage, and review your roof repair options with you. Then our expert technicians will complete the job with unparalleled precision – a claim that is supported by our comprehensive labor warranty. Finally, you’ll be able to rest easy knowing that your roof is fully repaired and you can get back to business as usual. To schedule your free, in-home consultation, contact Roland Slate Service Company. 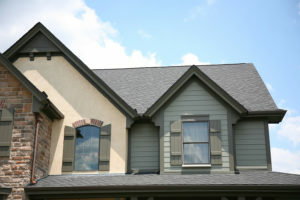 You will quickly realize why so many people regard us as the best roofing company in Timonium.